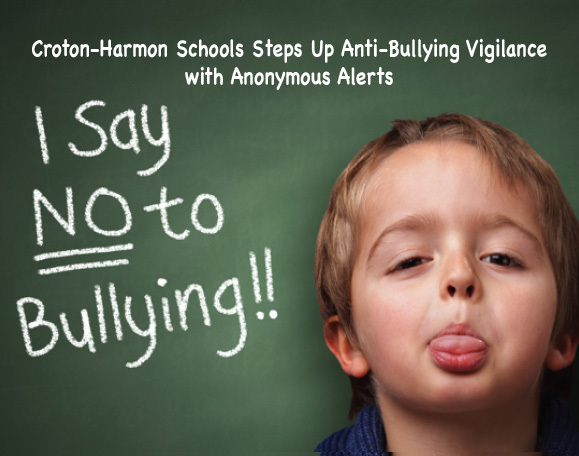 Anonymous Alerts® patented student anti-bullying app helps combat bullying other negative activity in schools by empowering students to come forward to help themselves and other students. 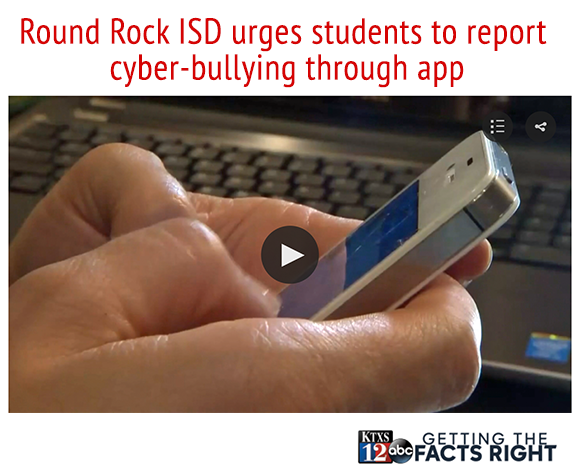 Social and peer pressures are some of the hardest obstacles for students to overcome, now they can report bullying and safety issues quickly using our Anonymous Alerts® mobile app to report it®. How do students anonymously report concerns? Students or parents in the school community can anonymously submit alerts about suspicious activity, safety threats, bullying, alcohol or drug use, depression, harassment, family issues, school shooter, campus safety concerns and self-harm issues to school administrators or counselors. 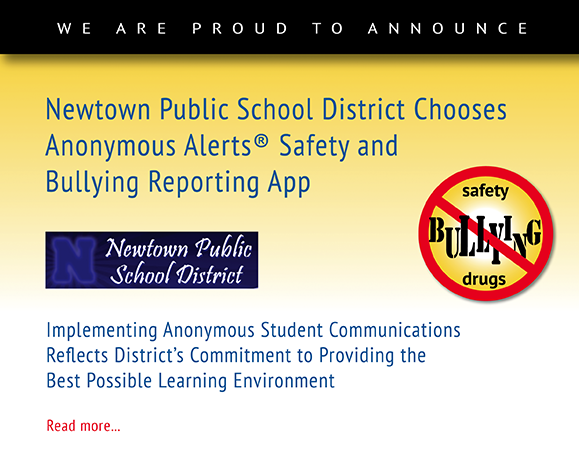 Students can establish anonymous 2-way communications® with a school official about an incident. 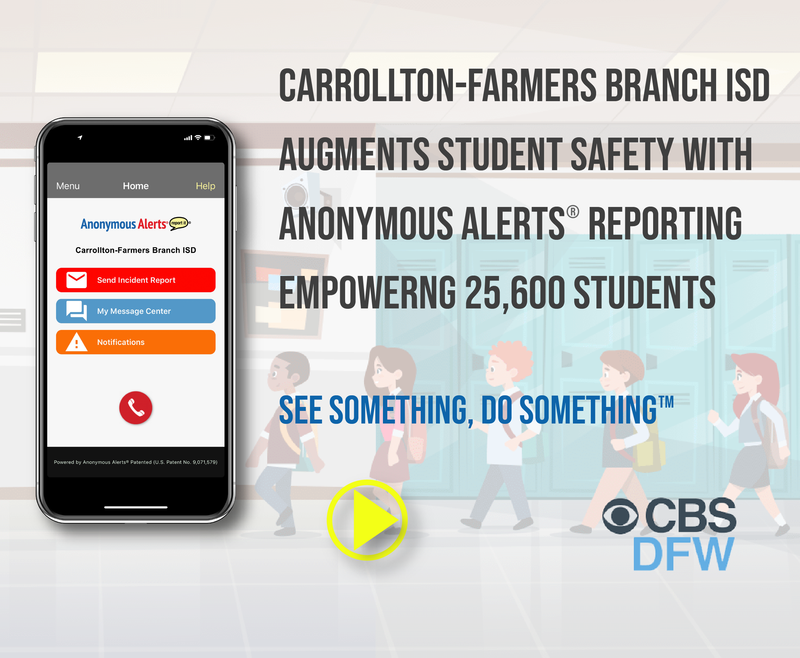 The Anonymous Alerts® mobile app is available for free to download from the Apple Store, Google Play store, and the Chrome store. 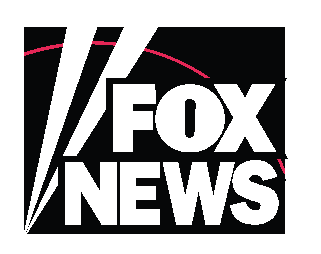 Students who See Something, Do Something™ anonymously using our patented mobile applications and Web-based reporting system. 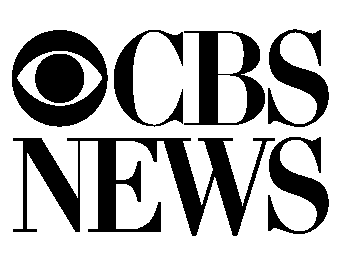 "We have seen a significant drop in both bad behavior and safety concerns, creating a more positive school climate." 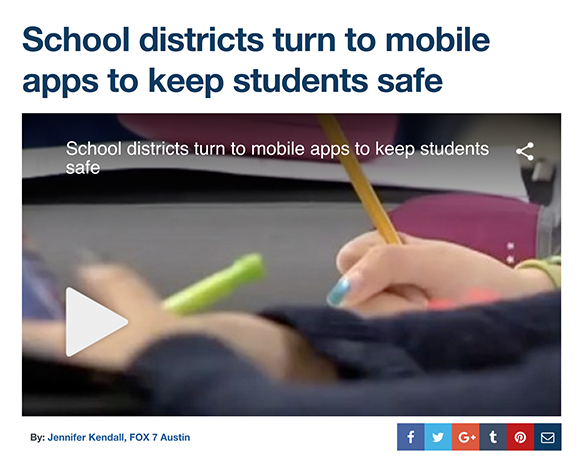 "Giving students a mobile way to communicate with principals, counselors and school safety personnel is vital to the safe, secure and productive learning climate we want to have in our schools." 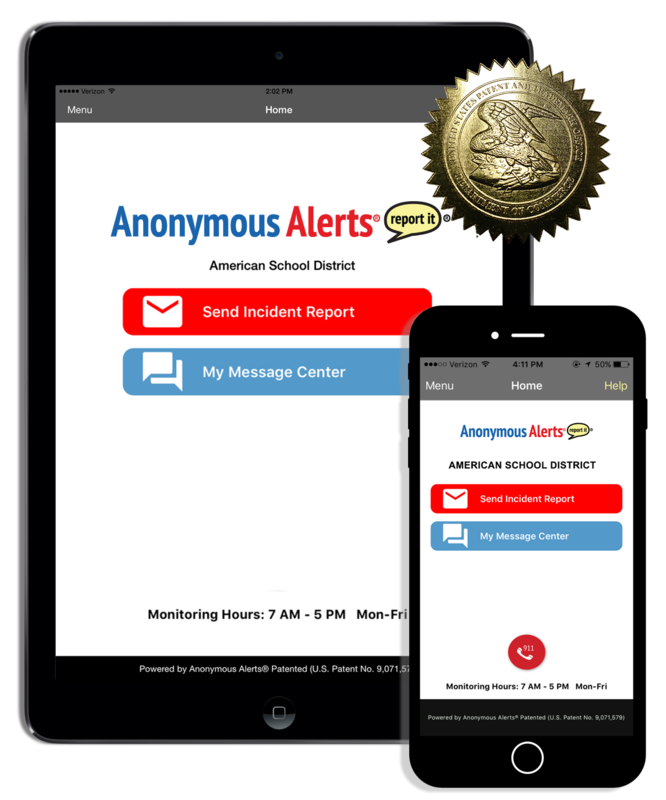 "With Anonymous Alerts®, students can maintain their anonymity and feel confident that someone will help to resolve any problems quickly." 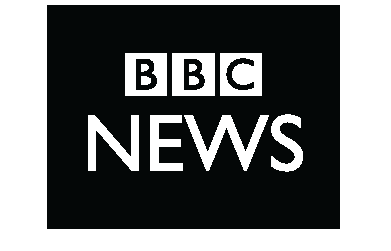 "We've been using the Anonymous Alerts program for nearly a year. 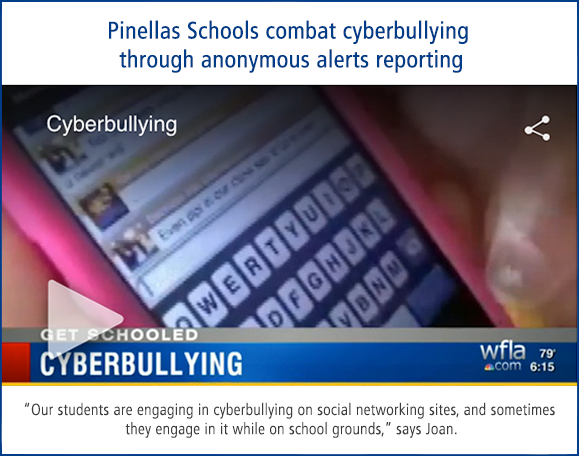 Our school is a safer place now that students have a better way of reporting campus concerns, including bullying and cyberbullying. During the year we implemented Anonymous Alerts, our suspension rate reduced over 50 percent." 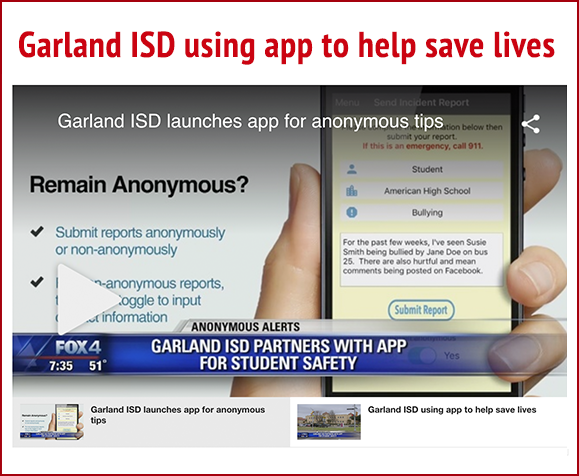 "Anonymous Alerts is an actual tool that can be used to save lives. I think Anonymous Alerts is something that will be longstanding at GHS and something that will have benefits, no matter who the students are." 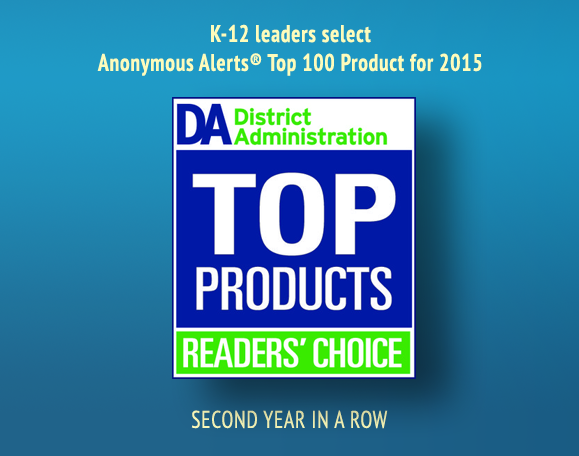 Anonymous Alerts® brings Texas school districts into 100% compliance with the new David's Law (S.B. No. 179). 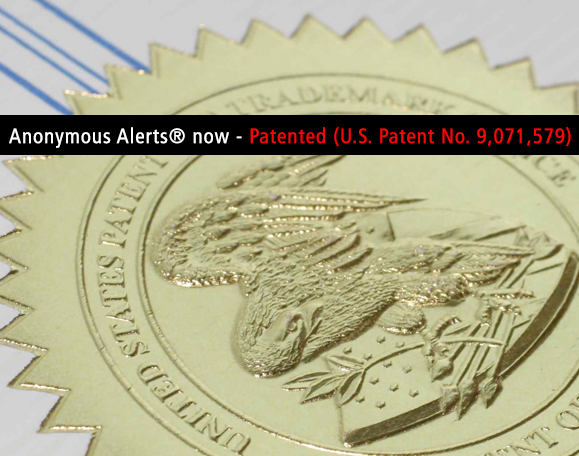 Anonymous Alerts® Registered in the U.S. Patent and Trademark Office. Incident Management® Registered in the U.S. Patent and Trademark Office. REPORT IT® Registered in the U.S. Patent and Trademark Office. 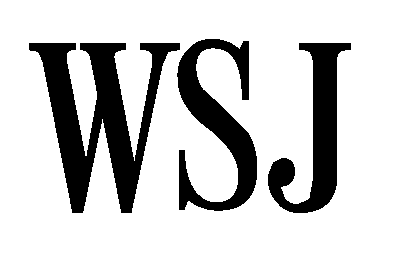 Smart Button® Registered in the U.S. Patent and Trademark Office. 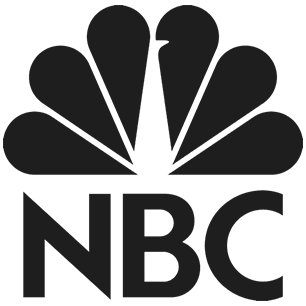 Anonymous 2-way Communications® Registered in the U.S. Patent and Trademark Office. Copyright © Anonymous Alerts, LLC. All rights reserved. This form is not to be used for student reports to schools.